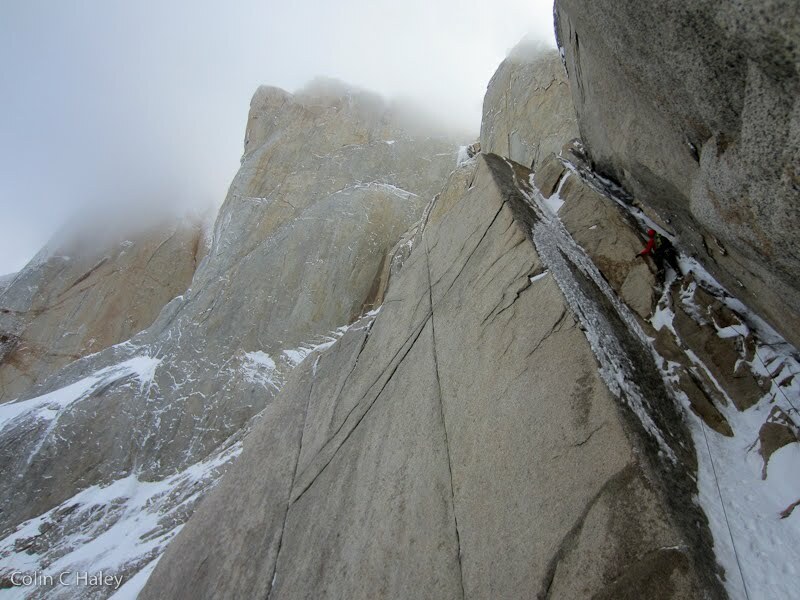 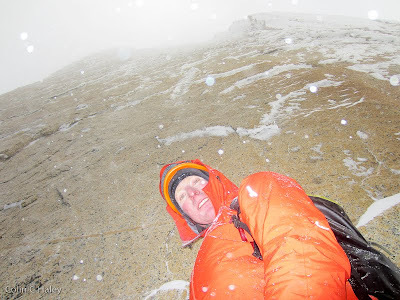 Last week some calm weather blew into the Chalten massif, but with cold and snowy conditions. 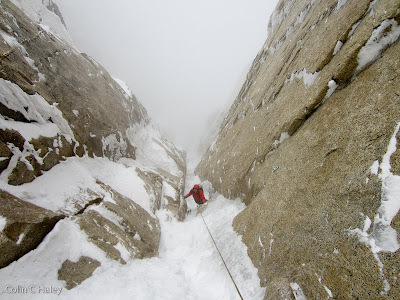 Jon and I hiked into Niponino with some loose plans to scratch around on something while wearing crampons. 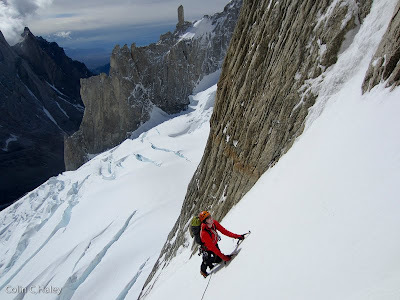 After hemming and hawing for a while on the Torre Glacier at first light on the 16th, we finally decided to head up Tobogan. Tobogan is a slanting system of of ramps and gullies that climbs on the southeast aspect of Cerro Standhardt up to the Col dei Sogni (the col between Cerro Standhardt and Punta Herron). 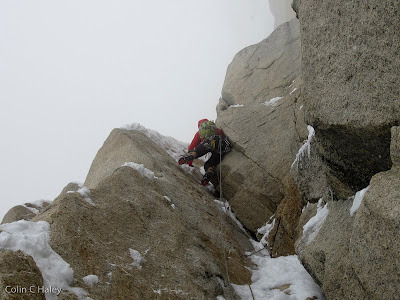 The route was established in 1999 by the uber-powerful team of Rolando Garibotti and Silvo Karo. 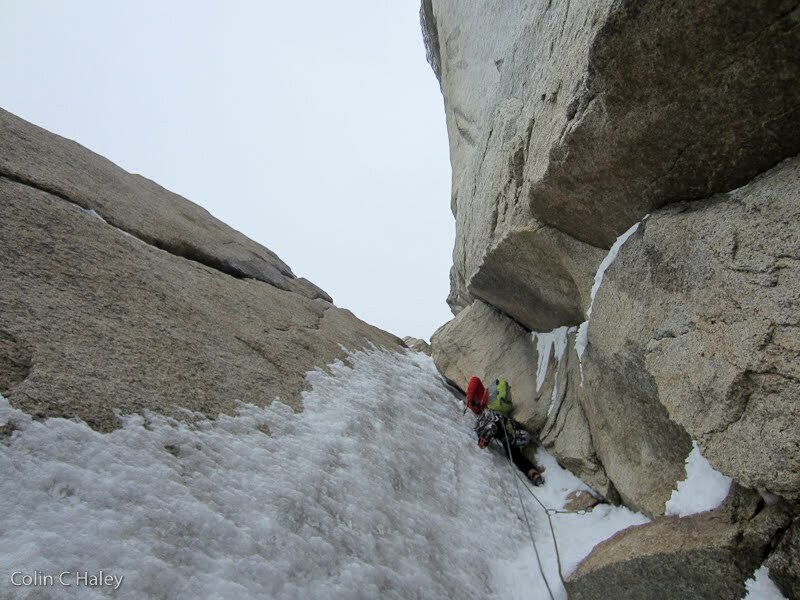 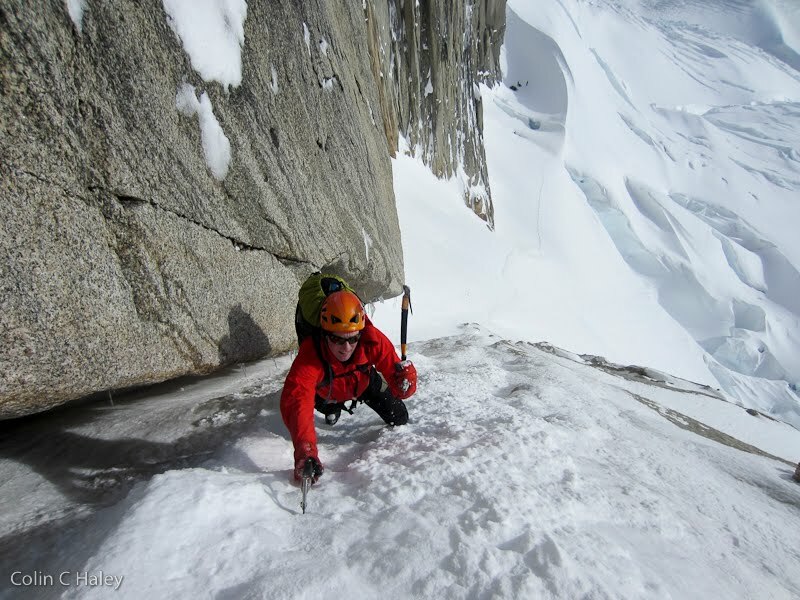 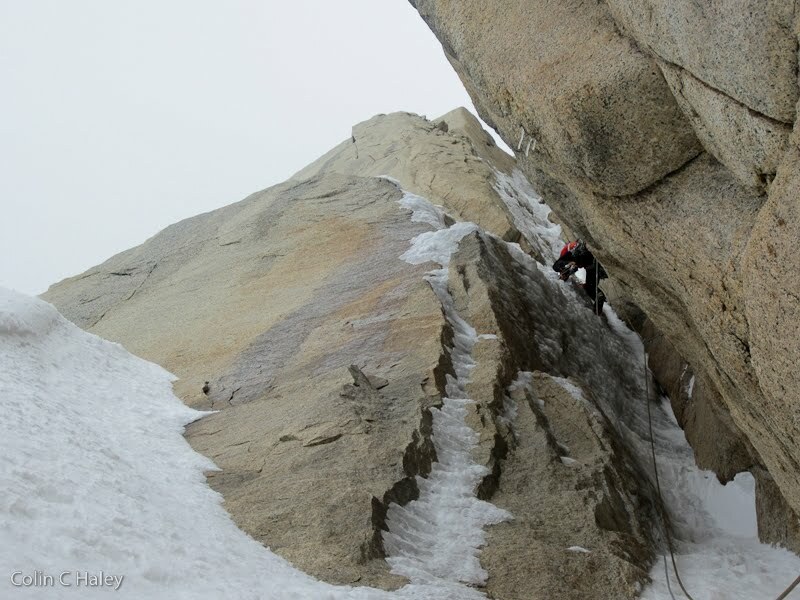 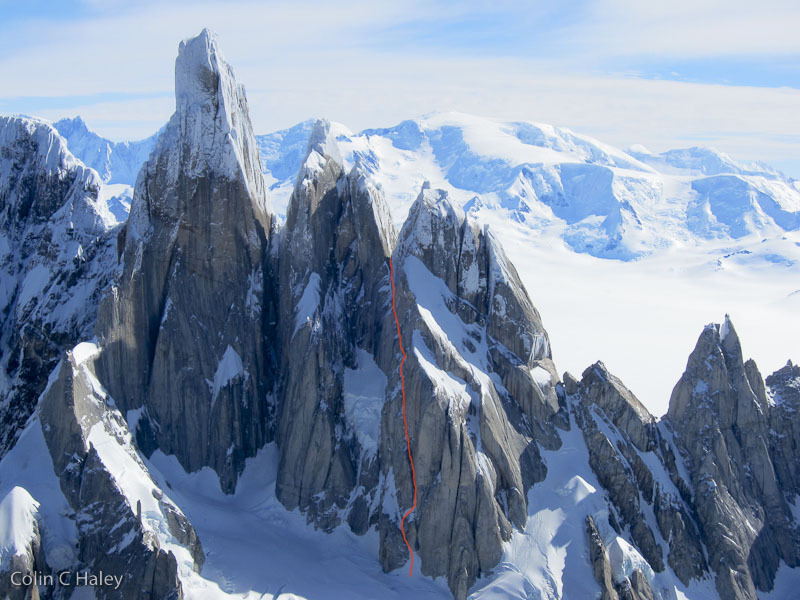 Jon and I found much icier conditions on Tobogan than Rolo and Silvo experienced, allowing us to enjoy high-quality ice and mixed climbing, rather than the "alpine groveling" that Rolo refers to. 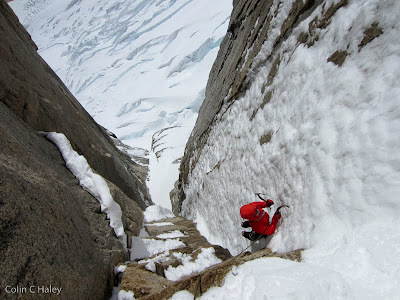 And while the dry conditions forced Rolo and Silvo into aid on some of the lower portions of Tobogan, the good ice conditions allowed Jon and I to make the first free ascent (if you're into that kind of thing... :P), at reasonable difficulties I would estimate to be AI4, M6. 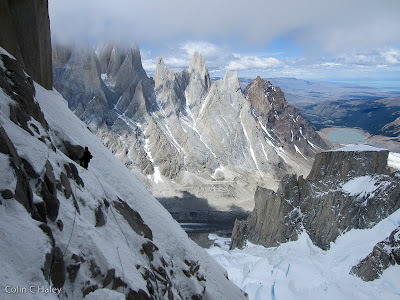 I believe that we made the second ascent of Tobogan to the Col dei Sogni, but, like Rolo and Silvo, we didn't manage to climb any higher than the col, and the route remains unfinished to the summit of Punta Herron or Cerro Standhardt. 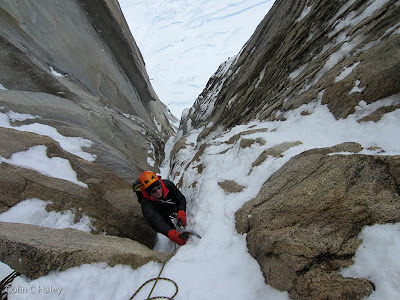 Jon at the Col dei Sogni, with a frosty Spigolo dei Bimbi above, about to start our favorite ritual - rappelling through the night!